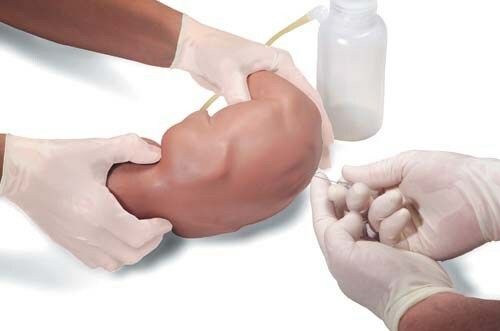 Reproduction of a neonatal infant positioned for the practice of lumbar puncture techniques. 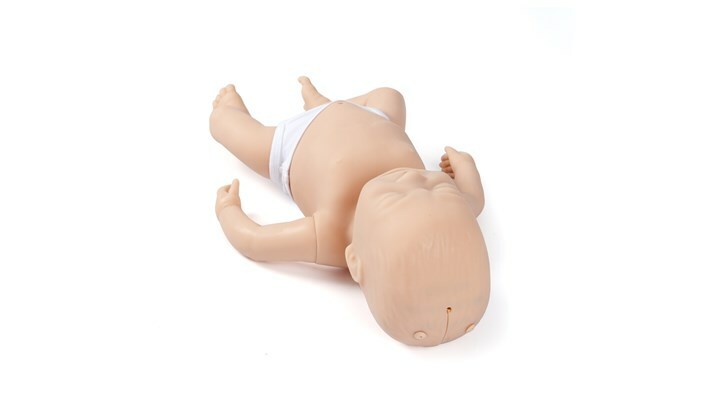 Baby Umbi was designed for the practice of umbilical catheterization and is a reproduction of a female newborn infant. Robust and realistic, this model allows students to undertake training that is directly transferable to the clinical setting. 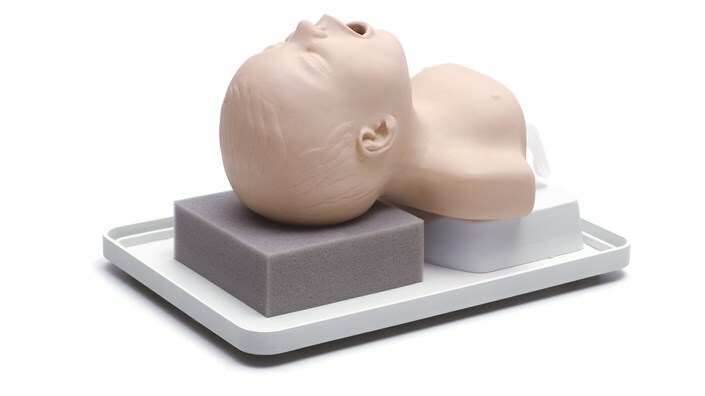 SimNewB has been designed by Laerdal with the American Academy of Pediatrics to meet the training requirements of neonatal emergency medicine and resuscitation courses. With realistic newborn traits and lifelike clinical feedback, SimNewB is ideal for training for the specific needs of neonates. Throughout the history of medicine, clinical learning has been based on imitating the actions of others. Medical students are expected to learn complex medical tasks by watching other clinicians perform that task. This is known as the “see one, do one” approach, or the apprenticeship model. Certainly, the “see one, do one” approach to learning will continue to have its place. In many cases, however, experts within healthcare see simulation as an alternative, or at least a stepping-stone, between classroom learning and clinical practice. This means change.